I've read The Three Musketeers (unfortunately not in French) and reading The Man in the Iron Mask just seems logical to read the other "D'Artagnan Romances." Dumas's characters are interesting, complex, and even funny. How can I not allow myself another treat? 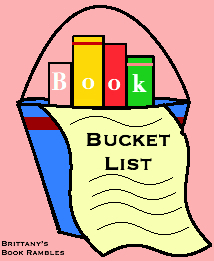 I have seen the famous movie adaptation directed by Randall Wallace and even though I love that movie; movie adaptations don't usually sell me on their books. It's was only after reading The Three Musketeers and "met" the characters and was pulled into their story did I want to read The Man in the Iron Mask. I'm sure it won't disappoint. 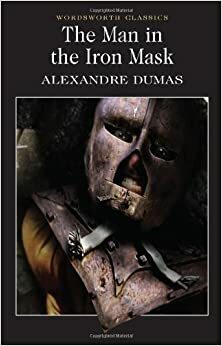 The Man in the Iron Mask synopsis: In the concluding installment of Alexandre Dumas's celebrated cycle of the Three Musketeers, D'Artagnan remains in the service of the corrupt King Louis XIV after the Three Musketeers have retired and gone their separate ways. Unbeknownst to D'Artagnan, Aramis and Porthos plot to remove the inept king and place the king's twin brother on the throne of France. Meanwhile, a twenty-three-year-old prisoner known only as "Philippe" wastes away deep inside the Bastille. Forced to wear an iron mask, Phillippe has been imprisoned for eight years, has no knowledge of his true identity, and has not been told what crime he's committed. When the destinies of the king and Phillippe converge, the Three Musketeers and D'Artagnan find themselves caught between conflicting loyalties.